In two press releases issued last week just four days apart, the Monetary Board of the Central Bank has shown that it is now ready to stand up to its responsibility by the nation. 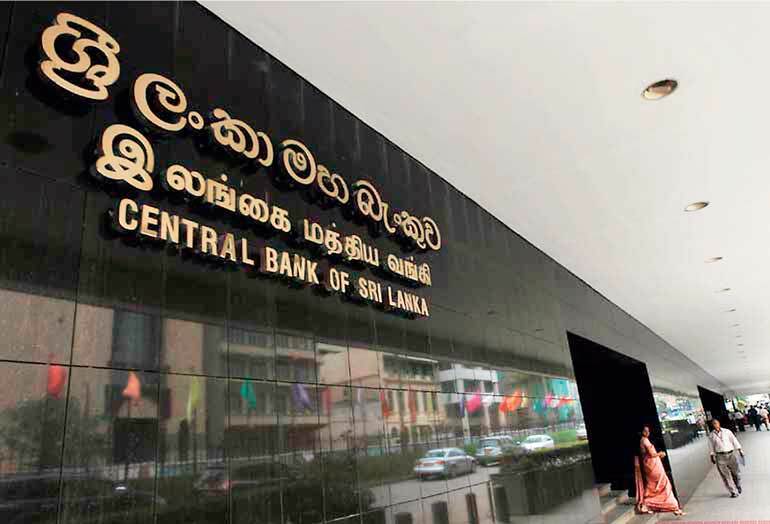 The first press release was issued after many days of a whistle-blower releasing a confidential draft on-site examination report on the controversial primary dealer, Perpetual Treasuries, to the market (available at: http://www.cbsl.gov.lk/pics_n_docs/02_prs/_docs/press/press_20161010es.pdf). Obviously, the Board cannot admit in public that it was a report being prepared in the Central Bank. But, it had indirectly admitted its authenticity when it had said that it was still an unfinished report, not authorised to be issued to the public and not yet considered by the Monetary Board. The leak of the report had been an embarrassment to the Board because the leaked report had bared so many bond transactions considered to be improper, irregular and questionable. This is contrary to the stand taken by the Board throughout that there was no impropriety in the Treasury bond deals made by the primary dealer in question. Therefore, to put a stop to such leaks in the future causing embarrassment to the Board, it had taken action to strengthen the Bank’s internal procedures. However, this action was not sufficient because of the existence of a whistle-blower under its nose encouraging other would-be whistle-blowers as well. Hence, it had to give a warning to them that the Board would not take whistle-blowing lightly. To do so, the current whistle-blower should be nabbed and dealt with legally. Accordingly, the Board had announced in a warning tone that the case had been referred to law enforcement agencies, in this case, the Criminal Investigations Department or CID. When the information contained in the leaked report became public, there was wide condemnation of the past inactivity of the Board in the media and by civil rights activists. This writer, while documenting the history of the case in an article published in this series last week, indicated that the report, despite not being vetted or approved by all the approving authorities in the Bank, contained a wealth of raw data for any knowledgeable analyst to draw judgment about how the primary dealer in question had operated in a very thin market (available at: http://www.ft.lk/article/572608/Whistle-blowing-on-Perpetual-Treasuries--Embarrassing-but-vindication-of-CB-s-supervisory-staff). The raw information was shocking and pointed at other places where such improprieties had taken place such as EPF, a fund under the control of the Monetary Board. The Board has now responded to public outcry, as it should do, by meeting in a special session and releasing its second press release following that crucial meeting (available at: http://www.cbsl.gov.lk/pics_n_docs/02_prs/_docs/press/press_20161014en.pdf). The second press release is concise and revealing. The Board had said in the press release that it had considered an interim report on the performance of the primary dealers from April 2015 up to the end of August 2016. It had “noted with concern the sharp disparity in the performance of primary dealers as well as certain issues related to the pattern of trading activities”. This is the first time the Monetary Board has admitted that “there has been sharp disparity” and issues relating to “patterns of trading” implying that one primary dealer had run away with all the profits in the market. It is a scary development and there is no level playing field for all the primary dealers to engage in a fair game. All this time, when the independent analysts and civil rights activists had pointed out this unsavoury pattern in the bond market, the Board acted deaf, dumb and blind. It eroded the credibility and reputation of the Board beyond repair. What the new development shows is that under a wise Governorship, even a sleeping Board can be woken up from its deep slumber into credible and fast action. Perhaps the revelation by the whistle-blower would have prompted the Board to depart from its past stand. That is because when the public is armed with better information, the Board cannot continue to play innocence. Thus, the sudden wake-up of the Board – despite the call being given by a villainous whistle-blower – is encouraging. It should be supported by everyone desirous of having an independent and professionally motivated Monetary Board to protect their wealth and establish good governance in the financial market. Let’s now turn to the issue relating to the alleged whistle-blower. The release of a confidential report to the media by him is a criminal offence in terms of the Section 45 of the Monetary Law Act or MLA under which the Central Bank is governed. This section was introduced to MLA by John Exter, the architect of the current Central Bank, in view of the duty bound need for maintaining secrecy by Central Bank officers. They can release such information only to the Monetary Board or to an officer authorised by the Governor on behalf of the Monetary Board. The penalty for such a crime has been prescribed in Section 122 (2) of MLA. Accordingly, if the whistle-blower is nabbed and found guilty by a Magistrates’ Court, he faces a jail sentence up to six months or a fine of Rs. 2,500 or both. In addition, he will lose his job at the Bank as well. Thus, whistle-blowing is a serious matter in the case of the Central Bank. It becomes further critical because in terms of Section 5 of the recently enacted Right to Information Act, certain work done by the Central Bank has been classified as exempted items about which the citizens do not have a right to seek any information. That covers ‘the regulation of banking and credit’ and ‘the exchange rates or the control of the overseas exchange transactions’. If citizens are desirous of obtaining information on these matters, they have to wait until the lapse of 10 years when the sensitiveness of the information has fully died down in its natural process. Hence, by any standard, the Central Bank is an institution possessing classified information which the staff cannot share with any outside party. Therefore, it is not unusual for the Monetary Board to refer the matter to CID. CID sleuths in Sri Lanka are very efficient and they will eventually nab the alleged whistle-blower. This writer has experienced the efficacy and efficiency of CID sleuths on two previous occasions. One was the occasion when some scurrilous papers had been issued through the internet against two senior officers of the Bank in mid 2006. The matter was referred to the CID and within months the CID sleuths uncovered the ring of Central Bank officers which had been responsible for the offence. They even identified the bank officer – an officer who had worked under this writer a few years back – who had created a fake email account to send out the scurrilous papers. When the CID sought further advice as to what it should do for the case, the position taken by this writer was that the case should be allowed to rest since a general pardon would discipline them more than a punishment. The second occasion was when this writer’s official mobile phone – an expensive camera phone at that time – was stolen by someone in 2007. Since it was a property of the Central Bank, the matter was referred to the CID. Within weeks, the phone was recovered with the culprit as well. There again, the culprit, a 17-year-old schoolboy, was released with only a warning. However, whistle-blowing is viewed today from a different angle. Economists recognise whistle-blowing as a necessary mechanism to control fraud, corruption, irregularities and thefts in public places and in the corporate world. Since whistle-blowers contribute to generate a greater ‘public good’, preventing the occurrence of a ‘public bad’, they are hailed as heroes by many societies rather than being condemned as villains. A good example is the identification by the US-based Time magazine of three women as ‘Persons of the Year’ for 2002 describing all of them as whistle-blowers. One was Sherron Watkins of Enron who submitted a memo to the Chairman of Enron revealing financial fraud involving the concealment of huge financial losses. The second was Cynthia Cooper of WorldCom who informed the company’s audit committee of accounting irregularities refuting the company’s published accounts that revealed a profit of $ 3.8 billion. The third was Coleen Rowley of the FBI who presented 13 pages of evidence contradicting the position taken by Agency’s Director that there was no evidence that 9/11 hijackers were planning their attacks. All these three Persons of the Year rose up to the challenge of revealing what they knew for the greater public good in their respective workplaces. The objective was to avoid the occurrence of a public bad which was more costly to the organisation. All these three cases related to individual organisations and whistle-blowing had been done by following the internal reporting procedures. However, this may not be the case at all times. Sometimes whistle-blowing may be done with a vicious motive to an outside party or to media. Even then, if the facts are correct, it still serves a greater public good and should be permitted. Whether the final outcome would be good or bad should be decided only after a thorough investigation and not before that. Hence, in today’s good governance world, whistle-blowing is encouraged, legitimatised and protected. Sri Lanka so far does not have such a system in place. The Right to Information Act, enacted recently, despite its certain deficiencies, is one step taken toward achieving that ideal state. It is necessary that civil rights activists now agitate for the creation of a legal mechanism conducive for whistle-blowing to take place within organisations and to outside bodies if the circumstances warrant it. Some countries have even gone beyond legitimatising whistle-blowing as in the case of the Ontario’s Securities Commission in Canada. As reported by the London based The Economist in July 2016 (available at: http://www.economist.com/news/finance-and-economics/21702191-ontario-offers-finance-workers-millions-blow-whistle-fraud-whistle-while ), badly hit by fraud in the securities market, Ontario decided to set up an office to encourage whistle-blowing with power to offer financial rewards up to C$ 5 million to potential whistle-blowers. It expects that the financial reward scheme will encourage the whistle-blowers to report difficult to detect frauds and offer ‘meaty evidence’ which investigators would take many years to gather. Hence, as far as the speed and the content of investigations are concerned, the reward system will appropriately incentivise the people working in the market to reveal what they know to the authorities. It will also encourage financial institutions to improve compliance so that there would not be ‘meaty evidence’ left for would be whistle-blowers to exploit. Despite the prohibitive laws, sometimes, agitated employees believe that they should blow the whistle if the management of the organisation does not act promptly or correctly. This is a case where employee loyalty is compromised by the need for generating a greater public good or avoiding a public bad. Legal prohibitions are based on the presumption that individuals are rational, calculate the cost of revealing inside information to outsiders and refrain themselves from doing so. But a new branch of economics, known as behavioural economics, tells us otherwise. Individuals become irrational and emotionally motivated when they see a bigger public bad due to the irregular and improper practices of the management of an organisation. Then, no amount of laws can prevent employees from shedding employee loyalty and revealing the inside classified information to media. Hence, it is important for organisations to set up internal mechanisms where agitated employees can directly report to the head of the organisation what they see and perceive as unsavoury for existence of the organisation. That is the first guard against whistle-blowing and not relying on prohibitive laws. Governor Indrajit Coomaraswamy set the tone for such a mechanism when he invited the staff to take up with him freely if they feel that he and others in the Bank do not live up to the required level of integrity, technical excellence and professionalism in his inaugural speech to employees on assuming duties as Governor in July 2016 (available at: https://www.youtube.com/watch?v=riEqOx8oc0U ). Perhaps, this mechanism would not have worked as expected prompting the whistle-blower in question to release the confidential information to the media. The Boards’ continued inactivity and defiance would have frightened the whistle-blower that a greater ‘public bad’ is happening in the Bank. Hence, it is of utmost importance for Governor Coomaraswamy to re-establish this mechanism giving assurance to Bank employees who wish to take up these issues with him without fear of being persecuted by senior management. Nabbing and punishing a lone whistle-blower is one thing, winning long-term employee loyalty is another. For that, the Monetary Board should live up to the required standards as pronounced by Governor Coomaraswamy in his inaugural address to the staff in the presence of the members of the Board.